"STOP BEING A LITTLE BABY!" as shared b​y ​a ​former Gosnell patient, Davida Clarke in the film project '3801 Lancaster'. Davida's account can be seen and heard in this film about the Women's Medical Society in Philadelphia, PA. Dr Kermit Gosnell's 'House of Horrors'. To view the film, seek help and hope....or share your story...visit 3801lancaster.com or click here. In Jan 2011 Dr ​Gosnell, 72, a Philadelphia-based abortion doctor, was charged with 8 murders - ​7 babies and 1 woman. His clinic had not been inspected - or visited- for 17 years. "Since the Gosnell trial began three weeks ago, ABC, CBS, and NBC have given the story ZERO seconds of coverage on either their morning or evening news shows. They have not covered Gosnell once since his arrest in January 2011, and even then, only CBS did so." 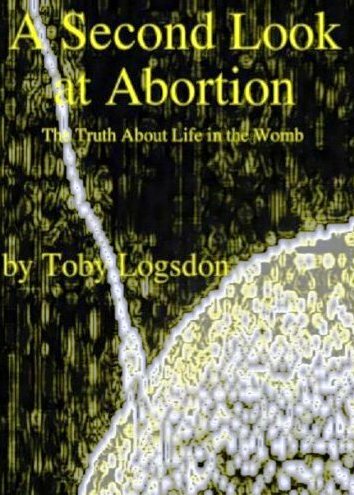 The trial of the abortion practitioner has been so gruesome and vivid in its accounts of the late-term and live-birth abortions that it has shocked the conscience of the nation, despite a relative ​lack of media coverage​ outside of local media and conservative and pro-life news outlets. Gosnell faces 43 criminal counts, including eight counts of murder in the death of one patient, Karnamaya Monger, and seven newborn infants. Additional charges include conspiracy, drug delivery resulting in death, infanticide, corruption of minors, evidence tampering, theft by deception, abuse of corpse, and corruption. Gosnell could face the death penalty if convicted and he faces a mandatory minimum 20 years. While laying on the table...Davida ​Clarke understandably ​decided against an abortion. SHE CHOSE to change her mind! SHE CHOSE to save her baby! Her next words and actions - describe Gosnell's REACTION to her BOLD and timely CHOICE. Davida continues.... " I was outnumbered ... all these women came in the room at that time.... I was tied to the bed...and couldn't do anything. The next thing I know... I'm sitting in a chair with another girl beside me. I only know that I was very groggy and not pregnant. I was crying and asking for 'my baby'. They just ignored me." Authorities searching the facility last year found bags and bottles holding aborted babies scattered around the building, jars containing babies’ severed feet lining a shelf . It was reported that medical examiner, Dr. Gulino, spent five days just cataloging the containers of fetal parts. He also examined ​feet and ​'lower extremities 'found in 'see-thru' jars of formaldehyde belonging to five babies Gosnell killed. The ages of the unborn children ranged from first trimester to 22 weeks and the latter baby was possibly viable. Severed feet...and lower extremities stored in jars of formaldehyde?? What was his issue with feet and lower legs? The human leg is the entire lower extremity or limb of the human body, including the foot, thigh and even the hip or gluteal region; however, the precise definition in human anatomy refers only to the section of the lower limb extending from the knee to the ankle. I keep going back to Davida's story in the film '3801 Lancaster'. I can't dismiss her words ...can't stop seeing her raging arms and clinched fists... as she tries....years later to describe Gosnell's REACTION to her plea to SAVE HER BABY! SOMEONE....SOME INCIDENT.... made Gosnell callous and angry enough... to literally .....without any sense of remorse or emotion ....bring horrible 'demise' to little babies. As if he considered it his duty...his responsibility....his right....to take these little lives into his own hands....and pronounce his judgement against them! ​on ​Davida Clarke.....and millions just like her! He chose to STOP her fetus FROM BEING a viable 'LITTLE BABY'! He saves those little feet and legs....as a reminder?...a victory?....a trophy? Why else would he save them in jars of formaldehyde? ​He didn't save any other 'parts' so well preserved. ​It was reported to the jury today that Gosnell kept at least 47 babies in odd places at his clinic such as cat food jars and other containers. And yet... he preserved severed feet and lower extremities in jars of formaldehyde ...lined on a shelf! God forgive us for allowing this #*)! to go on for 17 years right under our noses. I want to make myself perfectly clear here... Every single baby that this frame of a man murdered... in or out of the womb.... is in the hands of God. we have a God who wants all people to be saved and come to a knowledge of the truth, even this man who has done what to others is unbelievably horrific. I pray that this man will be brought to Jesus in repentance, the only place that he, and any of us, can be forgiven, and become a new creation. Yes, Brenda... thanks for making that point. 'Unbelievably horrific' ...but sin is sin. Jesus came as the Redeemer for all mankind. And should he ever come to a place of remorse for his sins... just like you and I have...it would be only by the power of the Holy Spirit convicting him of such. Otherwise, he will remain blinded by the truth of his actions. Without remorse; repentance; and acceptance of Jesus as Lord...there can be no salvation. I too pray that the Holy Spirit visits him in ways that only Gosnell can understand ..and that he takes the necessary actions to turn from his wicked ways and receives God's cleansing forgiveness. But oh how unbelievably horrific the onset of guilt and shame....the instant the Holy Spirit opens a heart and mind to their sinful nature. Gosnell, should he come to this crossroad in this life...while there is still time...will need our prayers ever as much at that point as he does now. Many...Christians included - will not choose to forgive his deeds against these helpless...powerless... little babies. Oh what wicked webs we weave when we choose to live in the carnality of the flesh rather than seeking the ways of the Holy Spirit of God. I dare say....if the man were to get in touch with his own pain...he would also feel the weight of the pain of all those women who lost their babies...in his hands....willingly or not...the pain endures for a lifetime. Blessings to you, Brenda... thanks for picking up the pencil to speak this vital truth...for all mankind. When Adam sinned, sin entered the world. Adam's sin brought death, so death spread to everyone, for everyone sinned. Indeed, there is no one on earth who is righteous, no one who does what is right and never sins. He was only among those that was brought up now...Still...like what you said...Very little info from the media...I get sad whenever I hear those pregnant prisoners opting for abortion but without much knowledge about it. To them, it's an easy escape from responsibilities. But many also choose to give birth despite the separation. This nation really needs PRAYERS...Men are so wise with their own wisdom. They don't seek His knowledge anymore. I pray men will turn to God so we can be healed. Thank you for sharing this. God bless. your words ring true to my heart. "This nation really needs PRAYERS...Men are so wise with their own wisdom. They don't seek His knowledge anymore. " We are soooo wise....aren't we? But our wisdom and knowledge isn't the same as God's. He is the true giver of wisdom. And He says that if we lack wisdom...ask of Him and He will give it to us. Sadly, we don't ask. Sadly we lean on our own understanding ...which is corrupted by the carnality of the flesh. In your line of work within the prisons...i bet you see so much of this. For me...it would be such a hard place to work. God bless you as you shine His light into that darkness. May He remain your strength and your strong tower as you fulfill His call to those behind bars. Blessings to you and thanks for picking up the pencil. Since I don't own a TV...my granddaughter has kept me tuned in with all the happenings in Boston. One of the runners goes to their church and he was 7 blocks past the finish line already when the explosions went off. Granddaughter shared that the Lord has saved him 3 times now surrounding this marathon. He missed last year's race because of a car accident...and while training this year...he had a heart attack and supposedly died...but they revived him in the ambulance. Granddaughter suggested that if he hadn't had to have heart surgery then....he probably wouldn't have ran as fast in the marathon...and just might have been in the area of the blast...rather than 7 blocks ahead of it! Just saying... it appears the Lord's hand was on him to finish the race and to finish it well. yes...Horrible for those victims that were in the line of fire. I saw some unbelievable photos online...that I wish I hadn't...But my heart goes out to the families who lost a loved one...imagine ...an 8 year old life was claimed... & the many others who were wounded...many are looking at a very long recovery. I pray the Lord strengthens them and encourages them...empowers them to keep going until their woundedness is healed in Jesus name. "do we pray enough?" I dare say not! The Lord says to pray without ceasing... do we cease to pray? yes, we cease to pray... even us prayer warriors and intercessors cease to pray. Our hearts are always tuned in...but we aren't always giving it all we got. Do we fast and pray? hardly. I used to do this more often and can even attest to the power of the Holy Spirit in ways I've never experienced before...when I fast with my praying. This is a powerful weapon I must pick up again. Fasting and praying for a specific burden....like America and the world...but also for Him to show me His heart in vibrant clear understanding. I can't say that I see what God sees. I'm just a pencil in His hand...like you're a paint brush in the same hand. Everything we do we do for the glory of the Lord to shine through...but we don't always see the big picture. In fact if we did...we might lay down the pencil and the paintbrush for other things. But for now... we do.. and be ..and say.. and share...what we feel He's placed with in our hearts...and hope that He uses it to bless that one... that is in need of whatever it is that brought us to our blog today. Crying, just crying...AMIN...LORD have mercy upon the human race....mercy LORD. Amen SM...Lord have Mercy and Grace upon the human race! "How long must we tarry, Lord...how long?" "Do not judge, and you will not be judged. Do not condemn, and you will not be condemned. Forgive, and you will be forgiven. For the first time since the trial started I found a small article on NBCnews.com just today. I, too, have shared on FB asking for coverage. Roe v Wade was to have stopped dangerous abortion clinics - instead, this one has received government support, but not oversight. How can we accept the death of those Christ commanded they be allowed to come to Him? "But Jesus said, Suffer little children, and forbid them not, to come unto me: for of such is the kingdom of heaven." (Matthew 19:14 KJV) So many have come to the kingdom slaughtered by others. thanks for reminding us of this vital scripture. Children are of utmost importance to Him, aren't they...so how can we live with the 'knowing'... that, as you said "So many have come to the kingdom slaughtered by others" The knowing...and harboring in our hearts ...these images and descriptions of slaughter...gets harder and harder to bear. The weight of this burden ...for me is indescribable. I ask the Holy Spirit to protect and cleanse my image center...that I not bear the trauma of this horrific slaughter inside my mind. I ask that He prop me up to bear the weight of such never ending sorrow. They have to have a name...otherwise they become just a statistic in a file...in a photo... I want to know their names. Thanks Phyllis for picking up the pencil. Then he said, "I tell you the truth, unless you turn from your sins and become like little children, you will never get into the Kingdom of Heaven. Therefore, whoever takes the lowly position of this child is the greatest in the kingdom of heaven. Truly I tell you, anyone who will not receive the kingdom of God like a little child will never enter it." Brothers and sisters, stop thinking like children. In regard to evil be infants, but in your thinking be adults. I have been seeing/hearing more about this on the cable channels. Thank God! To think such barbaric practices are taking place in 2013 is beyond belief. That said, I think we'd faint were we to know how many "like" things are occurring. Oh my dear, dear friend ... these truly are the days of increased darkness. Our only true hope is the Lord, and His return. Thank you for posting such a powerful & needful expose. From what I read ...its even worse in the third world countries. Unbelievable 'like' things. dark dark days are upon us! Therefore be you also ready: for in such an hour as you think not the Son of man comes.